This article describes different methods of changing a QR code in Photoshop that allow to insert a logo, image or text. The custom or branded QR code will be read correctly despite the modification. The QR (Quick Response code, Denso Barcode, ISO/IEC18004) code represents a two-dimensional code bar, initially used by industry, but widely used today to encode and transmit short information, like URLs, phone numbers, contact information, business cards, meetings, GPS locations, email. The transmission is done visually and the receiver is a mobile device that has a camera and a code reader software. QR codes were created in 1994 by a subsidiary of Toyota, Denso Wave , to be used by the carmaker in the management of various auto parts. 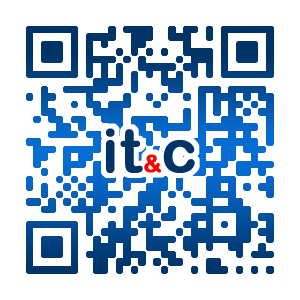 QR Codes were use din the production for fast visual identification of components and for storing additional information. In acest articol sunt prezentate diferite metode de modificare a unui cod QR in Photoshop care sa permita inserarea unui logo, imagine sau text si care sa nu afecteze citirea corecta a acestuia. Codurile QR (Quick Response code, Denso Barcode, ISO/IEC18004) reprezinta un cod de bare matriceal (bi-dimensional) utilizat in prezent pentru a transmite rapid informatii scurte de tip (URL, telefon, adresa contact, carte de vizita, intalnire, pozitie geografica, email) catre dispozitive mobile. Codurile QR au fost create in 1994 de o subsidiara Toyota, Denso Wave, pentru a fi folosite de constructorul de masini in managementul diferitelor componente auto. Codurile QR au permis implementarea unui mecanism de identificare vizuala rapida a acestora si posibilitatea stocarii de informatii suplimentare.